So you have just set up your blog and published a few posts. But all you can hear is the sound of crickets. No clicks, comments or meaningful traffic. That self published e-book, guide and online course is not selling like it should. That dream of a Caribbean holiday is on hold. Your significant other wonders why you are spending all that time late at night writing, tweeting and twerping but with nothing to show for it. Maybe it’s not time to give up the day job. So…should you pack it in and give up the dream? Blogging is not a “get rich quick” scheme and it has become a serious business that a few years ago was seen as only an activity for geeks and dorks. Some blogs and bloggers are now making some serious money. The Huffington Post (a blog) was sold for over $300 million and other bloggers such as Timothy Sykes, the Gothamist and Smashing Magazine are making 7 figures. But where do you start ? Old fashioned high street retail businesses needed passing foot traffic to make sales. The greater the passing crowd the more money they make. 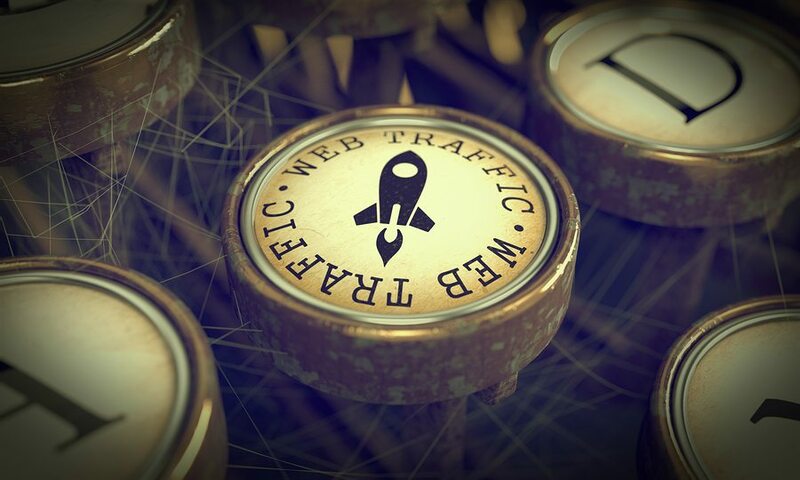 Bloggers need web traffic. So…how to get more blog traffic? Here are 100+ tactics including social media, search engines, email, joint ventures and more… to drive traffic to your blog and websites. The channels and networks you concentrate on will vary according to your business target audience. Lets look at the following tactics for building a global distribution network to reach prospects and fans. It’s like building your own media company. Growing your Facebook “likes” combined with fan engagement and contagious content that begs to be shared is one way of earning attention online and driving traffic to your blog. The tips above were tactics that didn’t need an advertising budget but time. If you want to accelerate the process then paying for advertising is also a viable method. One of the easiest ways is to select “Boost Post” option after posting an update on your page that links back to your blog. In essence Facebook now has two types of options. Custom audience advertising: Facebook’s Custom Audience features are virtually unrivalled by any other social medium. A Custom Audience is one a company can create on Facebook, by picking and choosing which targets to include. Custom Audiences comprise clients that a business already has a relationship with elsewhere. Lookalike audience: Lookalike Audiences are another unique feature to Facebook’s marketing tools. A Lookalike Audience allows users to target a new audience that has similar characteristics to an already-known audience. Twitter allows an unfiltered stream of tweets. So the better the headline the larger the following on Twitter then the larger your distribution network. Content without promotion is often wasted. Use the law of reciprocation. Follow other people that match your target audience. 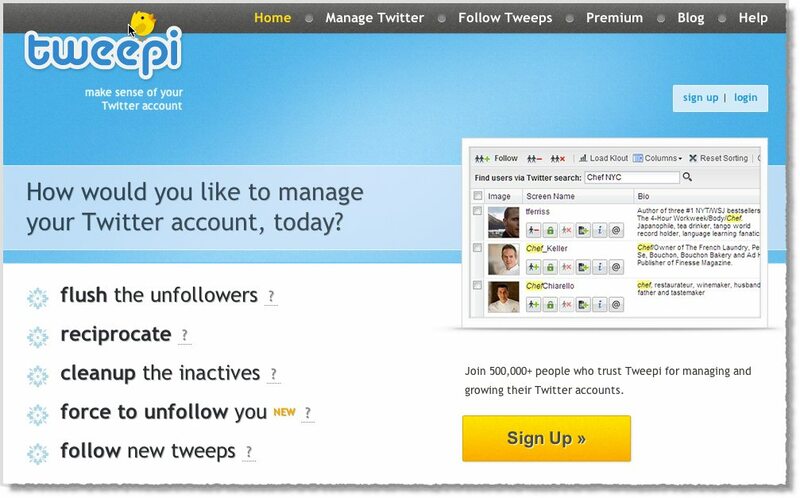 Learn how tools like Tweepi are great for that this. Twitter has 3 key types of advertising options. They all can drive more traffic. LinkedIn has opened up its platform to content creators with its publishing platform. This has made it more content centric and open. it looks like Linkedin is awakening to the open social web! Here are some tips to grow your distribution network on LinkedIn. Publish your best blog posts on LinkedIn’s publishing platform. (these can be linked back to your blog and attracts more traffic. LinkedIn has advertising options and they include two key categories. Self service and partner solutions. For bloggers the realistic option is “self service” . Here are the two ways to advertise on LinkedIn. Sponsored content: When creating an update, you have the ability to pay to have that update distributed to a larger audience on the LinkedIn network. Where other ads show up on the sides or at the tops of pages, sponsored content appears right in the user’s news stream, which will typically lead to more engagement. That update can include a link back to your blog and again more traffic. Google+ is Google’s social network that was created to create a social media foundation that would help Google capture important demographic information. It also helps Google determine by the “Plus ones” what content is valuable. Instagram now has over 200 million users and can be a great source of traffic for visual and consumer brands. Beyonce used it to announce her latest album with great viral marketing results. Here are some tips to grow your followers on Instagram. Connect your channels between Instagram and your other networks and sites. For more in depth tips read “6 Tips for Instagram Marketing Mastery“. Create a YouTube account and make sure that the following basics are done. This makes sure that you follow this best practice to make it easy for people to click through to your blog. When posting a video ensure there is either a link back to the blog or the article (if the actual video is embedded) in the “about” section of the individual video. Design and use a custom-designed image that encourages the reader to share your published article onto their Pinterest profile. Create a well-designed slideshow based on the topic of your newest, published article and link back to your blog in the description and the slideshow. Organic search engine traffic can often provide over 50% of your traffic for free if you have a well optimized plan and strategy. So what are some top tips to bring free organic search traffic to your website or blog. Create valuable long form content that is 1,000 to 2,000 words or even more that is such a great resource people and bloggers have to link to it. Become the “resource” for your industry. Make sure that your content is unique to your site when publishing. The reduction of organic reach on social networks like Facebook (For more read “Why You Should Forget Facebook“), is making organisations reconsider their focus social media. It mean building not only your social media presence on other networks but also by building your email list. 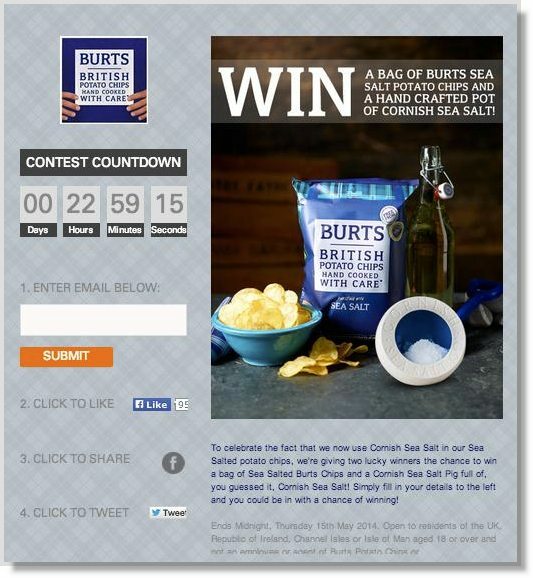 So how can you use email to drive traffic and create online attention? Use a pop-over that asks people to subscribe on exit. When sending out your blog posts via email make sure you only include the first paragraph or excerpt that is tempting enough to make people click the hyperlinked call to action to read the rest of the article. An example is …”Click here to read the rest of the article“. Dont give them everything in your email. 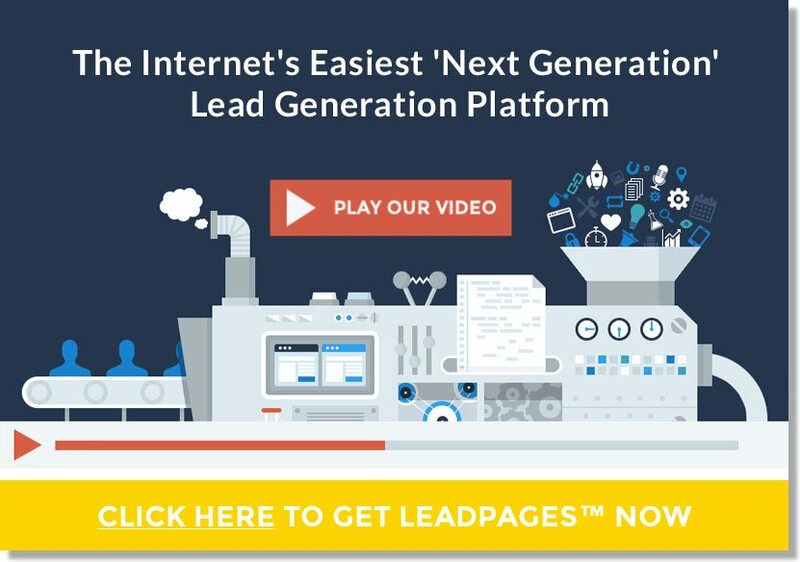 Leadpages.net is a lead generation platform that provides easy to customize landing pages (and already optimized templates). The pages can capture emails and be connected to your email platform such as Aweber or Mailchimp. Think about this for a moment. If you were able to work with 10 other bloggers who all had 10,000 emails each and you have 10,000 then you have just connected to a network of 100,000. That is an increase of 1,000 percent! This has to be done with high quality content and must be done with care, credibility and trust. Find and foster producing relationships with non-competitive and even direct competitors that sell to the same audience category as you with sizeable email lists and social networks. Bigger is better! Create a compelling and irresistible offer that is easy for the partner to execute. Content marketing is the new “black” when it comes to driving traffic. Its about attracting traffic rather than chasing it. It improves your SEO (Search engine optimisation) for your blog and this drives “organic traffic when you are found in search results. It also leads to referral traffic when people find your content is so good they “hyperlink” back to your articles. Create tempting headlines that drive “clicks”. I can’t stress how important developing and continuing to hone this skill is. Write long form content. Google is rewarding long form content (some say 1,500 words or more) by ranking it higher in search engines. The magazine app Flipboard now allows you to create personal Flipboard magazines that link back to your blog posts. The result more traffic. Don’t forget that a lot of people are now reading posts on mobiles. Many people have large mobile phones (often called “phablets” because they sit in size between phones and tablets) and they can raed while travelling on the train bus or even on the beach. Social proof is a concept that is as old as time. It has just begun to gain traction amongst online marketers as it explains a lot about the success of some online ventures, and the failure of others. It can be used to build trust in a social media environment for your business. Display the number of shares on social networks. If you see a blog that has hundreds of shares then you take notice and are prone to come back. Blogging is not a “get rich quick” scheme. It takes focus, time and persistence. That’s why building it on your passion and purpose will provide the foundation for a marathon called “blogging”. Are you building a range of organic and earned tactics on a range of digital platforms that drive traffic without relying on paying for it? Are you paying for traffic? Is that Facebook or Google or somewhere else? Do you have your eggs in just one basket? 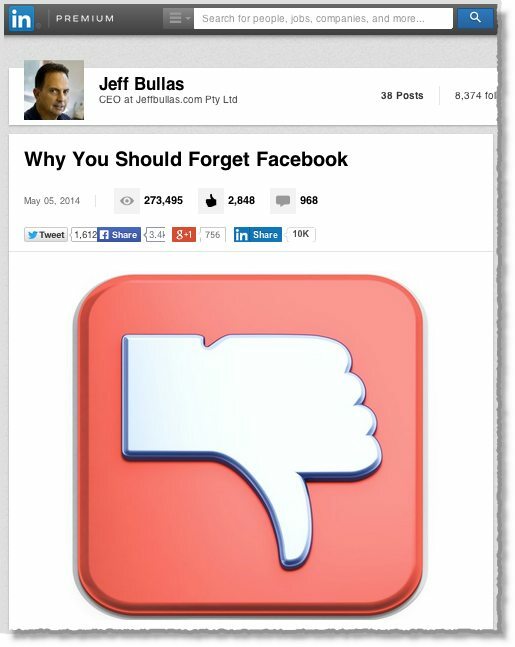 Is your Facebook activity a diminishing return? Look forward to hearing your stories and insight in the comments below. Want to launch your own blog in 3 easy steps?